Instructions for joining the "Milwaukee Electric Discussion List". 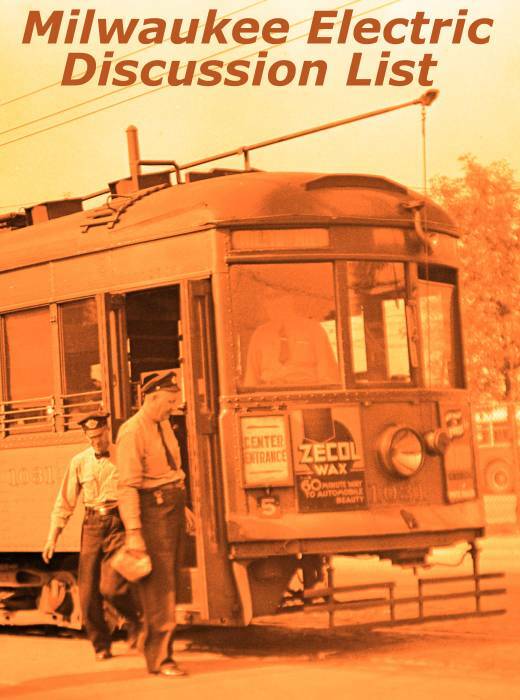 The Milwaukee Electric discussion list is available to anybody who wishes to discuss any aspect of Southeastern Wisconsin traction, transit or rail history. Discussion of anything pertaining to past or present transportation topics such as transportation policies and politics is also encouraged. continue by filling in the Subject and Body as indicated. Once you subscribe to the list, please e-mail me with your identity, so I can introduce you to the group. All I receive is your e-mail address and no other identifying data.